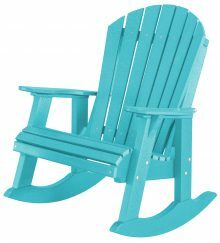 The story goes that the Adirondack chair was invented when a man vacationing near the Adirondack Mountains in New York became frustrated by the lack of comfortable seating. He decided to make himself a chair, and after testing it on his family, he knew he had a winner. We couldn’t agree more. 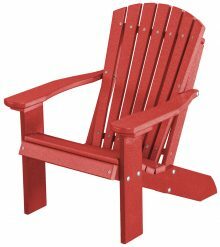 While it’s been more than 100 years since the production of the first Adirondack, people continue to enjoy these spacious, cozy chairs in their yards, year after year after year. 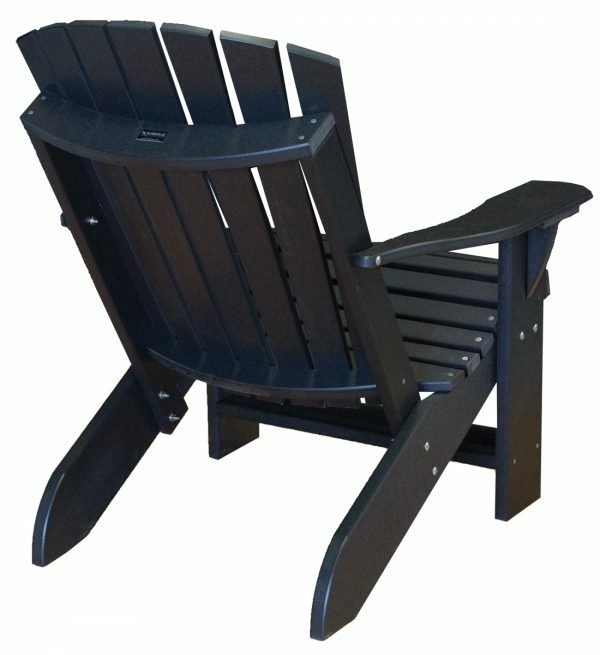 Get your own with our Legacy Adirondack Chair. 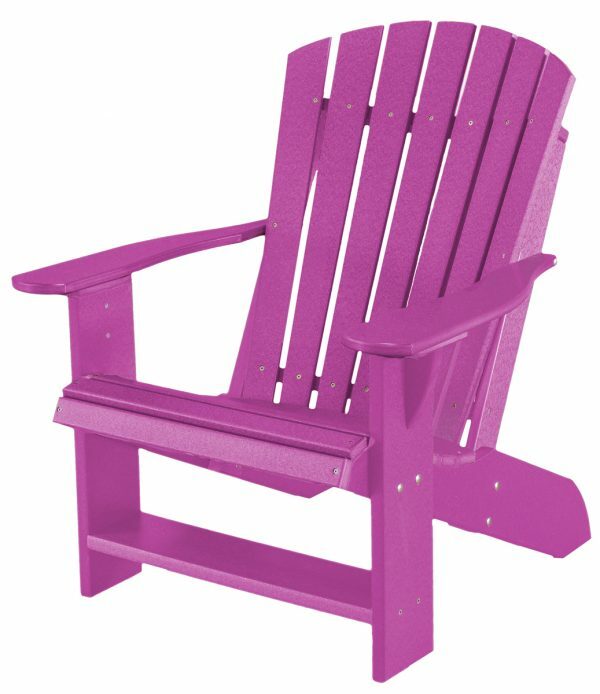 This has all the elements of a classic Adirondack chair, from the fanned back to the generous armrests. 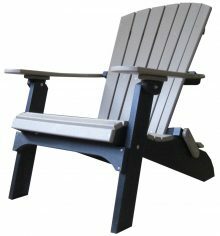 Part of our Poly Furniture line, the chair is fashioned from recycled plastics, which are a breeze to maintain. You need only wash the chair occasionally with soap and water to keep it in top condition. 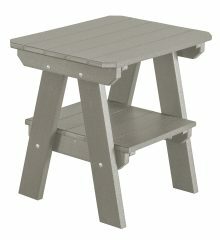 The plastic won’t crack or peel, and it’s available in a slew of different colors, including Olive, Orange and Purple. This chair is the perfect example of the hard work and high-quality materials our Amish artisans put into everything they make. The stainless steel fasteners on our Adirondack chair, for instance, won’t stain or corrode. The chair will remain strong and usable for years to come — because the Amish produce excellent furniture that stands up to repeated use. 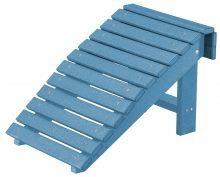 By choosing a sturdy, reliable product, you save yourself time and money from having to replace it year after year. 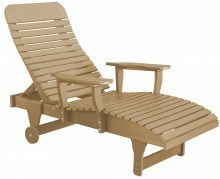 We offer up to 33 percent off our everyday low prices on the Poly Furniture collection and other items, as well as additional specials posted on the homepage. 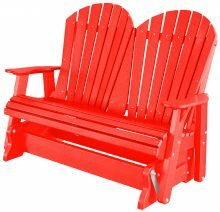 Get in touch to learn more about the Legacy Adirondack Chair.